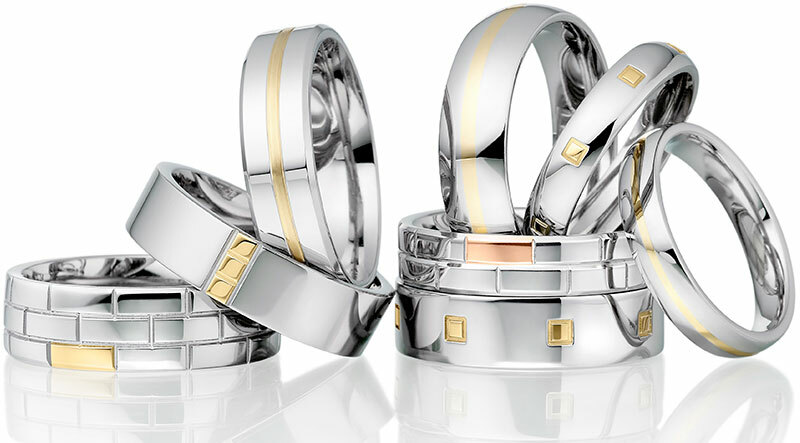 Two coloured bands are available in white and yellow gold, platinum and gold, titanium and gold, and also in gold and silver. You can choose whether you would like the white metal or the yellow metal in the centre. We can also use ‘brush’ finishes on your ring to customise it further. All the wedding rings on our website can be adapted and made in 2 colour.